Sometimes the second child gets the raw deal. When the Big Sister was a kindy, she took birthday cupcakes decorated with fancy shiny sprinkles and laminated Peppa Pig toppers. If one of her classmates had special dietary requirements, I suspect I’d have carefully researched and baked an egg-free, dairy-free, nut-free, gluten-free recipe and made extras for the teachers. The Little Sister’s birthday fell on the weekend this year and we celebrated with a BBQ at the farm. As ever, my Dad was on hand to help deliver her birthday cake desires. 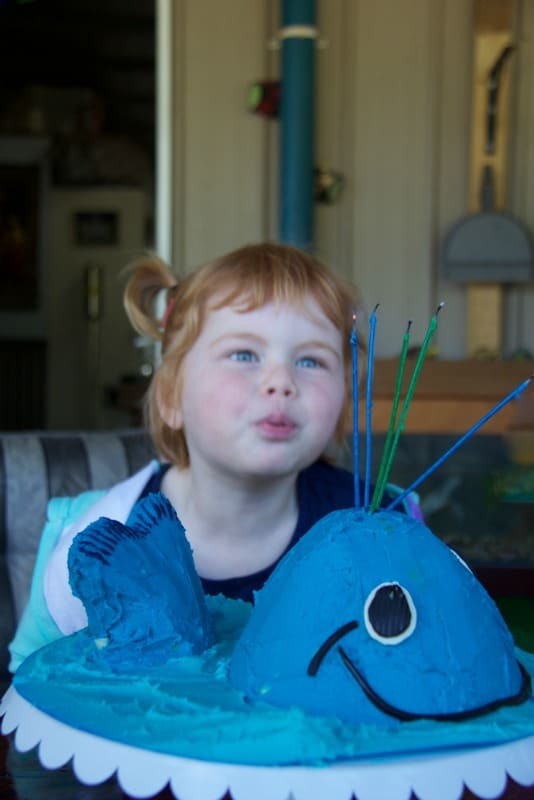 This year was a whale cake, inspired by our recent trip to Fraser Island. If you look closely you can see Emma photobombing in the background! After the butter-cream coated celebrations I had neither the energy or the inclination to investigate, bake and ice two dozen eggless, flourless, nutless, butter-free cardboard cupcakes. So I took an easier option. Kindy have been focusing on healthy eating this year, so I spun the Little Sister a yarn about “eating the rainbow”, bought thirty waffle cones at the supermarket and spent Monday morning cutting up a ridiculous amount of fruit. Cut the fruit into small pieces. 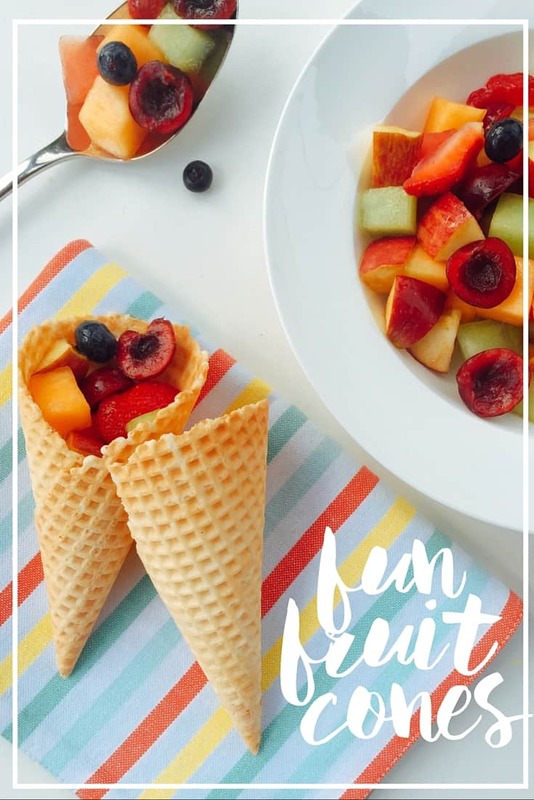 Add the fruit to the waffle cones just before serving. Word has it the kids loved their fun fruit cones and while I wasn’t there to vouch for it, I suspect they were tastier than the allergy-friendly cardboard cupcake alternatives. What I did learn is, these cones hold deceptively little fruit, so you likely won’t need as much as you initially think. Try filling one first to see! The following Monday I sent the Big Sister off to school empty handed. I told the poor possum that we’d done enough celebrating over the weekend and that next year on her *actual* birthday she could take something to share with her class. does your second child miss out? 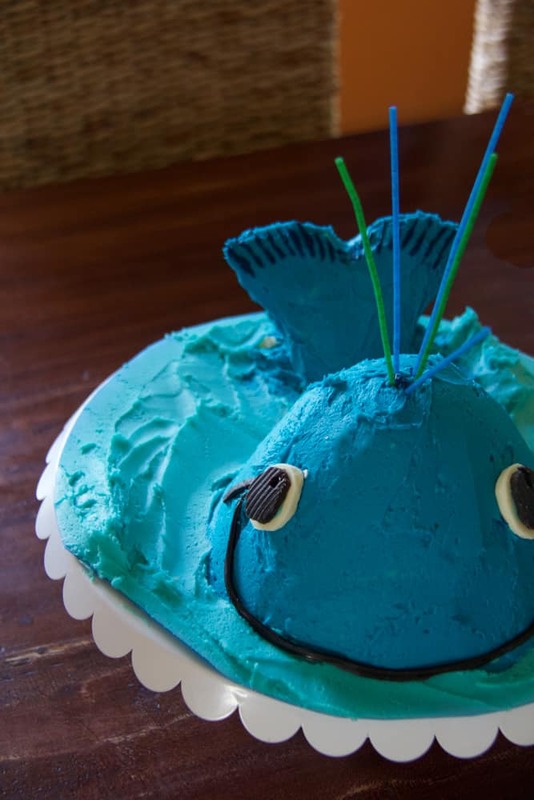 pray, tell me, when do kids stop taking birthday cupcakes to school?